Skincare item made of natural water from cavern springs in Japan. Containing vitamin C and E derivative as the active ingredients, it prevents blemishes and freckles due to sunlight. 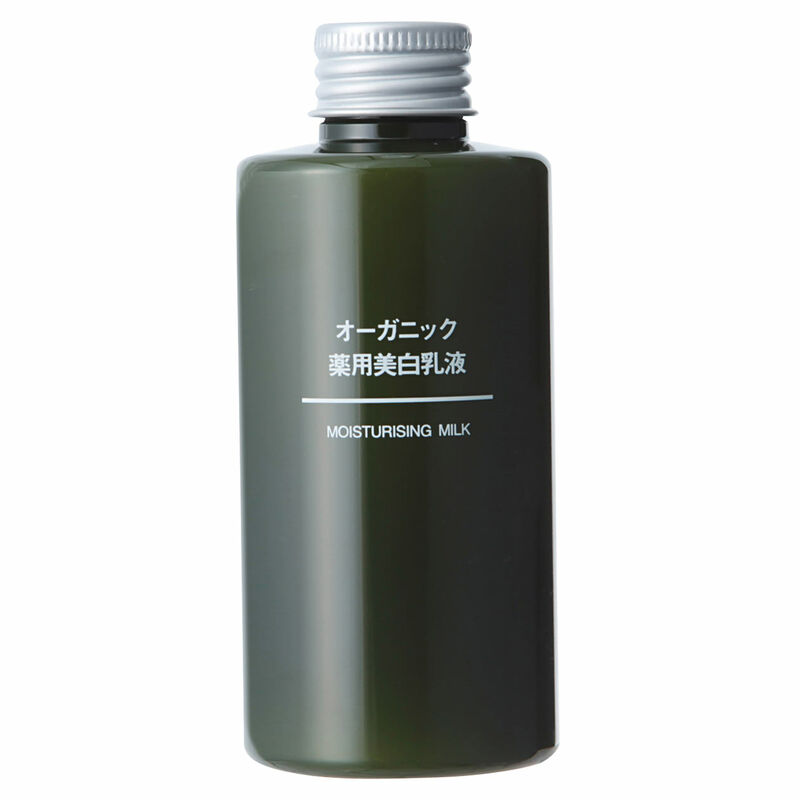 Infused with 8 organic plant extracts and organic aloe vera juice as moisturizing component. Added with organic essential oil, it creates a refreshing fragrance. ・Synthetic fragrance free・Coloration free・Mineral oil free ・Mildly acidic・Alcohol free　◎How to use: After facial cleansing, take an appropriate amount on hand and blend on your face thoroughly. • Product Photos shown here are for reference only. Size and volume etc. are approximate only. The above Price is the regular retail price. Please accept our apologies if products listed on this site are not updated due to out of stock. Please contact our stores for product details, prevailing price, the latest offer and product availability. © MUJI (Hong Kong) Co., Ltd. Please view this site in Internet Explorer 9.0, Chrome 35.0, Firefox 35.0, Safari 5.1 or higher.